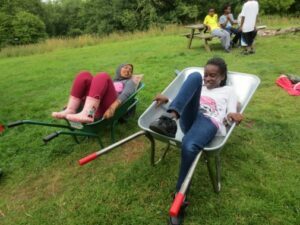 We run a range of our own community projects to support children, young people and their families, older people and newly-arrived refugee communities. We work with many expert local charities and community groups working with, for example, disabled people and mental health users. 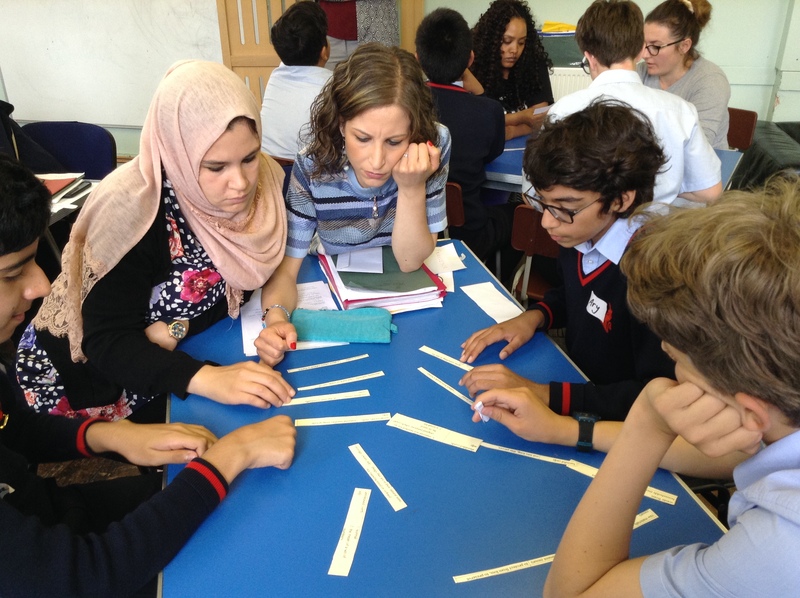 We invite these organisations to operate from our premises – so together as partners we can meet the diverse needs of the local communities of Wandsworth. We also do some campaigning work – mostly around housing and the benefits system – this is based on our experiences doing advocacy work with families, which we draw on when we speak to local statutory organisations and national government. Local voices are central to what we do and how we do it and we’re currently in the process of developing our 5 year strategy in consultation with local people – during a similar process 4 years ago we spoke to over 400 people. Our priorities are to build stronger communities and enable people to challenge and find ways out of poverty and isolation by supporting people at different times in their lives. Edie and Nadia’s story really demonstrates this well. They first came to Katherine Low Youth Club back in 1961. They met two local lads, Tom and Fred who ‘nicked their chips’, and later Edie married Fred and Nadia married Tom. Edie later returned as a helper in the Katherine Low playgroup when her two youngest children were here from 1971 to 1974. Years later they are both back as active members of our Elders and ‘Dance for Life’ programmes, and regularly attend our Contact Club, sewing group, Lunch Club as well as joining us on trips. We also support English language learners and people who want to get back into education. We provide a crèche and homework clubs. 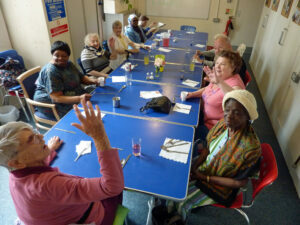 We run a programme to tackle loneliness for older people which includes ten different projects including the lunch club. It really is about looking at people in the whole and supporting them at different points in their lives. They can be involved in many different ways which means that there is a really blurred distinction between users and volunteers. Wandsworth has an incredibly diverse community and big disparities in wealth. We bring these different communities together though over 70 sessions a week from Tai Chi to dog training. There really is something for everyone. There is no CVS in Wandsworth so we often play a role in supporting smaller charities in the area, sign posting and supporting joint bids. To date the relationship with the local authority has been contractual and not particularly supportive. This lack of local leadership means that the sector is quite fragmented, there’s lots of competition, no strategic vision and lack of forums and networks. Our biggest challenge is managing how we grow and develop. We’re virtually full on all our services. We need to raise more funding and recruit more volunteers. Only one percent of our funding comes from statutory services and that’s from the local CCG. This really gives us a strong sense of independence. But we’re now looking at new areas in terms of major donors and legacy funds. One of our funding streams comes from the rooms we rent to other charities, but we need to access larger pots of money. About half of our funds are project funding and the rest is money we raise. We’ve looked at place based approaches to funding, but at the moment there aren’t enough independent funders locally, the run in time is too long and the return on investment is just not worth it. We should be trying to make ourselves redundant and part of this is about understanding why people come to us. Many of the major challenges are structural, for example housing – there’s just not enough, the rising cost of transport, benefits are a quagmire and people are facing significant economic disadvantages. We’d like to do more campaigning work to start to address some of these structural issues. Despite this, I see lots of opportunities. For example, the local council is merging with a neighbouring authority which could change the way they approach the voluntary sector, we have a new mayor in London and even Brexit may bring opportunities – I’m optimistic about our future.